My best parenting advice is to remember that the days are long and the years are short! Congratulations on the finish! I think the newest peanut and siblings are all going to enjoy your beautiful work. 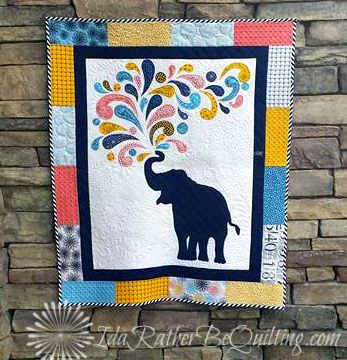 Your elephant quilt is absolutely gorgeous and I adore elephants so that makes me love it even more. 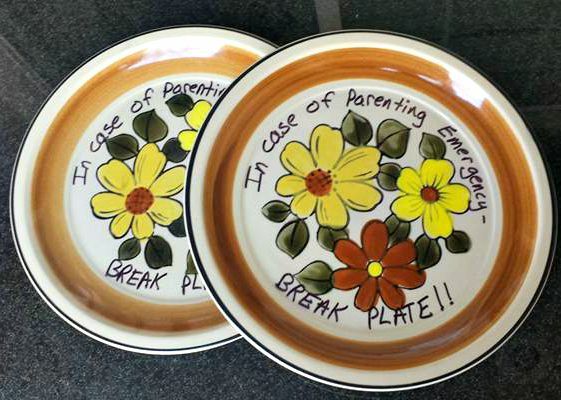 What a great idea about the plates, I may have to stock up - will it work with teenagers? My son just turned 14 and is very good at being a stroppy teen! You should have "trumpeted "!thus finish . Hey Ida! Beautiful work and congrats on the finish! 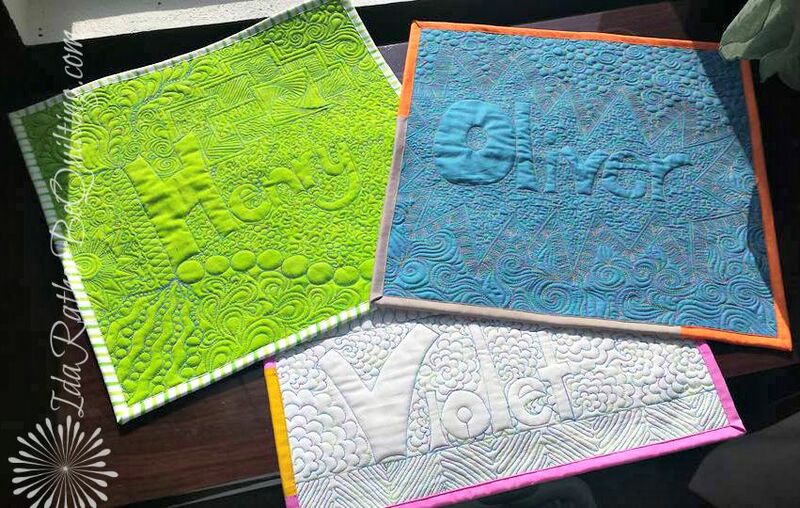 Your quilting is amazing and while it does certainly look like an addiction for you, we won't be coming for an intervention any time soon! Have at it, Girl! 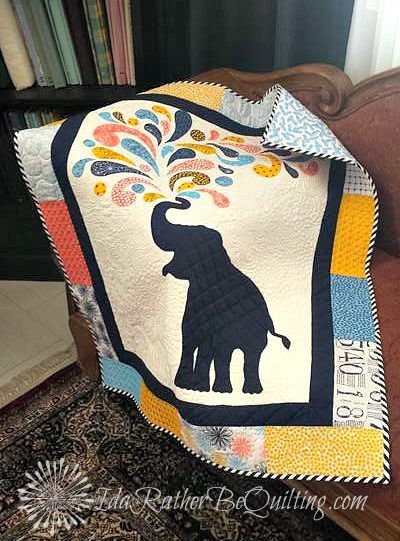 I have been eyeing this elephant pattern for so long! I've go to bitte the bullet and just do it!!! I know your friend will be over the top happy with the quilts! Good job!! 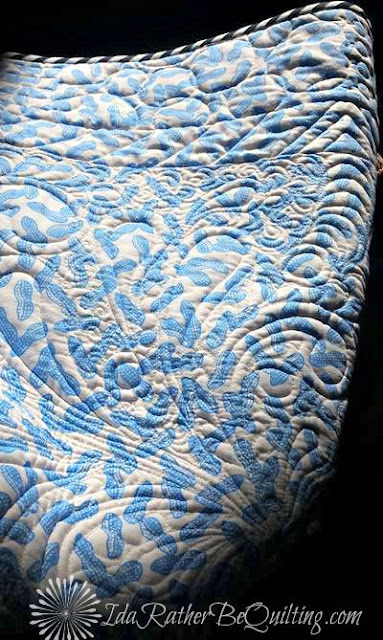 It was worth the wait - the texture you've created with the quilting is amazing. As for parenting, well I enjoyed taking an hour or two away from children to do some digging! Definitely spend time with other parents, we need to be supporting each other! 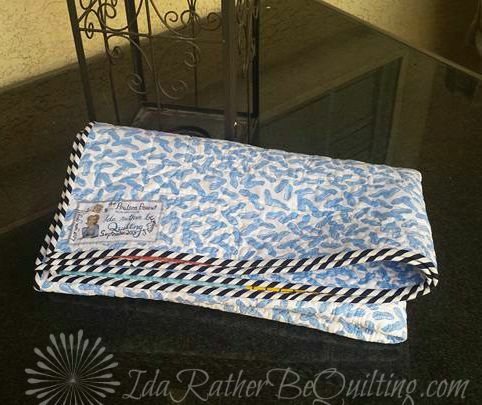 I loved your mini quilt and this one is just as spectacular! YAY!!!! I love it!! I am sure Mama Poulsen loves it and didn't mind waiting for it one bit! That quilting ~ DANG, Girl! 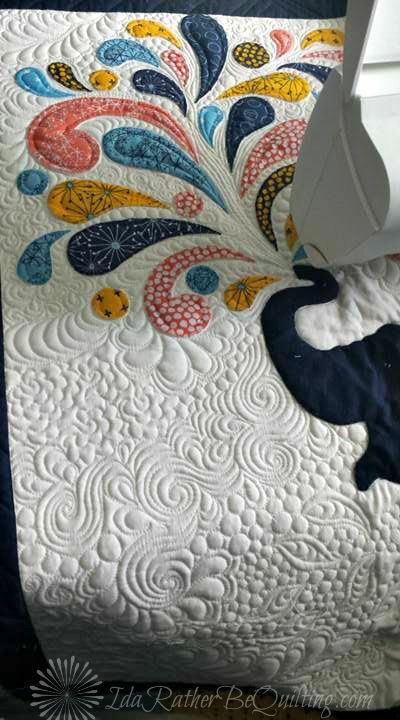 Where can I get the pattern for you gorgeous elephant quilt? You did an excellent job. And don't feel bad about the timing....my daughter's wedding quilt isn't quite done and their wedding was eight months ago. Do you ever sell them?